A hoverboard is essentially a levitating platform—designed to look like a large skateboard on wheels. Currently, these products are considered to be a trendy means of personal transportation over short distances (Source). Since their introduction into the US market, the popularity of hoverboards has increased drastically. While some parents are already thinking about buying one as a holiday gift for their children, there are certain things you just have to know about these products. For instance, several cases have been reported of hoverboards exploding amid use. However, this does not have to be the case; provided you take the right precautions, you will be just okay using hoverboards. Throughout this article, you will learn what exactly a hoverboard is and how you can use one safely. The hoverboards we have today are a bit far from what the Back to the Future II had predicted would be in 2015. As opposed to their initial idea, hoverboards do not actually hover around, but are rather motorized transport devices. 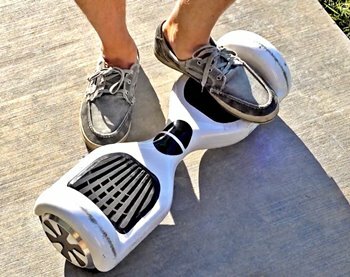 In this regard, hoverboards have a wheel or two and a board that is similar to skateboards in appearance. 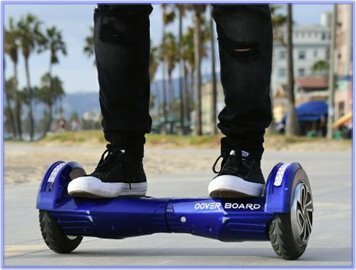 In order to ride this device, you need to stand on this board and maneuver your device accordingly. You may think of today’s hoverboards as a sageway that does not have handlebars and the middle pole. Since the device does not have handles, it is designed to respond to your body movements. 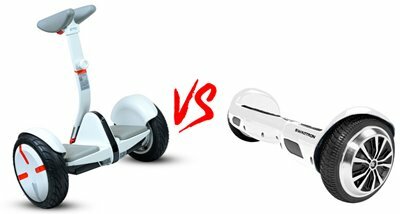 In most of the leading hoverboard brands today, you need to lean forward to speed up and lean backwards to slow down—just as you would do on a sageway. 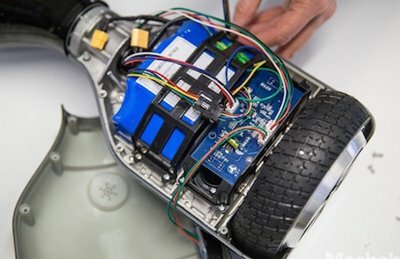 However, hoverboards are different from a sageway in that they feature a motor connected to each of the wheels. This is meant to allow each of the wheels to move individually and offer you enhanced control over the functioning of the device. According to statistics by PC Advisor, most of the leading hoverboard devices today can only take up to 220 pounds. Most of the boards available today are designed to attain a top speed of 10 mph and can deliver a range of up to 12 miles. 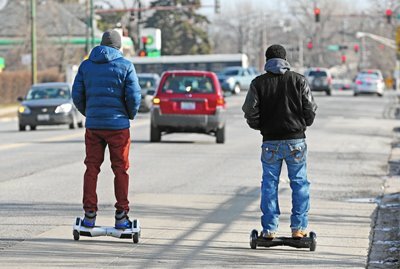 As opposed to sageways and motorized scooters, hoverboards do not have handlebars. As such, riding them safely can be a bit challenging. As a matter of fact several musculoskeletal injuries resulting from hoverboard accidents have been reported. If it is your first time using the device, you should go through its instruction manual before attempting to ride it. 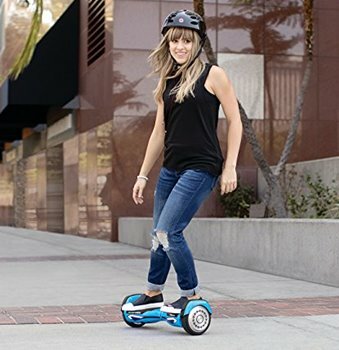 This will include the safety precautions you need to take while riding the hoverboard. For enhanced safety, you need to take heed of the instructions in your manual. You should then check the battery level before starting the board. Basically, it is advisable to start out on a full battery. If the battery on your board is low, you need to connect it to a power source using the provided charging cable. Having checked and confirmed that everything is working as it should, you can then start your board. In most models, this is normally done using a silver push-start button. The button is mostly situated at the back, next to the charging port of the device. Stepping onto a hoverboard is not such a hard thing. However, you may need some practice to do it right, if you are a beginner. So, how are you supposed to get on to your hoverboard? Position the board next to a solid object you can hold onto for support while stepping onto the board. While holding onto the support step one foot onto the hoverboard. Most models tend to have a light next to the battery gauge. Upon stepping the first foot onto the board, you need to wait for this light to turn green before stepping the second one. If this light remains red after you have placed the fist foot onto your board, you should turn your hoverboard on and try again. If the problem persists, there is something wrong with your board. This should be resolved before you attempt to ride your board again. Once the light turns green, you should proceed to put the second foot onto the hoverboard. To advance the hover forward, you should gently press your toes forward. Stepping onto a hoverboard and starting it off is rather easy. However, maneuvering the device will definitely require some practice to get right. Once you are able to advance your hoverboard forward without any help, you should start practicing how to make it turn. Again, this is pretty simple and is normally done using the toes and feet. In order to turn your board clockwise, you only need to press your right toes gently against the board. By so doing, your board will start turning in the clockwise direction. While pressing the toes of one foot against the board, it is important that you keep the other foot in a horizontal position against the board. Failing to do this may cause the board to counteract the turn—causing your lose balance. If you would rather go in a reverse direction or slow down the hoverboard, you should lean backwards gently. While handling slopes on your board, you need to be very careful. However, you need to verify the amount of slope your device can actually take on. Hoverboards are fascinating and trendy way to move about. However, these devices need to be handled with precaution to avoid accidents and even injuries. However, this does not make them less desirable. As a matter of fact, they are one of the most sought after means of personal transportation today. If you are planning on buying one, you only need to learn how to use it safely.